Angel at school, devil at home? Does your child behave at school but not at home? Here's your game plan! I've had a few clients come in lately reporting extreme frustration with their little one. "At school, he's amazing. He's helpful, listens well, and is an all around joy. At home? Completely the opposite! What gives?" So parents hear glowing reports from teachers and care takers, but find that once they come home or go to pick their child up, things fall apart. And it isn't pretty. Watching your child lose it with no or very, very little obvious provocation can be...heart breaking. Frustrating. Embarassing. Crazy-making. Why is my presence enough to provoke this avalanche of emotion? Why as soon as we walk in the door, does my child lash out at his sibling/kick the dog/not listen to ANYTHING I say? He doesn't do that at school! So let's set the record straight! The key distinguishing factors are when symptoms show up, how long they stick around and how severe they are. Symptoms, which may include irritability, tearfulness, fatigue and excessive worry, can be present in both the baby blues and postpartum depression. So I get the confusion on the matter. But, if a parent is experiencing these feelings more than a month or so postpartum, then it isn't the baby blues anymore. The baby blues usually occur within the first week or two after the baby arrives, and most commonly around day 3-5. Hence the saying, "when the milk comes in, the tears aren't far behind." Despite it feeling like forever in the moment, the baby blues should resolve within a week or two. If they last longer, it isn't the baby blues, it's likely postpartum depression. If you think you might have postpartum anxiety or depression, the most important thing to know: it's not your fault. No one wants to feel this way. You're not weak, or a failure, or attention seeking. This is something that happens to one out of seven women and one in ten men. So it's common AND the best news? It's treatable. So what to do if you feel like you've got postpartum anxiety and you're crawling out of your skin? Tell people. Talk to your care providers. Talk to your partner. If they're not supportive -- and unfortunately, given the stories my clients tell me about their doctors meeting their concerns with a shrug they might not be terribly helpful!--then don't give up. Help is out there. Ask around for therapists that are trained and specialized in helping postpartum families. The Postpartum Resource Center of NY has lists of qualified providers organized by county (www.postpartumny.org) and is a good place to start. Postpartum Support International (www.postpartum.net) is also an excellent resource. Ask the therapist what their qualifications are and what kind of therapy they practice. An evidence-based therapist will employ cognitive behavioral therapy, and provide warm, empathic care. If you don't feel like you click with a therapist on the phone, move on to someone else. A qualified therapist should also be able to help direct you to providers who can prescribe medication (ie a reproductive psychiatrist) if needed. Take care of yourself. The old saw about putting your own oxygen mask on before helping anyone else holds true. If you're burning out, you can't help anyone else, let alone take care of a baby. So, eat properly, get a shower in, go outside, rest, ask for help with the other tasks of daily living. There's no shame in asking for and receiving help at this time-- you've got an excellent reason when you've got a baby. Everyone wants to help new parents, but few know how. Tell them exactly what you need. Calm down. If you're getting physiologically activated by your anxious thoughts (heart racing, tense muscles, shallow breathing) you're sending your body the signal that this is an emergency. Your body then goes into "fight or flight." At that point your rational side shuts down because you've declared there's a dangerous threat to you or your loved ones--when this is usually just not the case. So if you feel you're about to spiral and you're starting to react physically, stop and breathe deeply. I teach clients to breathe in for 3 counts and out for 5, which allows them to focus on the counting instead of the worrying thoughts. Focus on where the anxiety is being held in your body and send your breath there, easing the tension. Developing a meditation practice can also be extremely helpful. Wink at your anxiety. This is a strategy that at first blush might seem a bit counter-intuitive. Bear with me. We all get anxious. You're not alone in feeling worried about things, and yet for those caught in the grip of a pervasive sense of doom, the worry takes over. Most people will instinctively try to fight against the anxiety, stuffing it down, ignoring it. And this can be a strategy that works in the short term, but the anxiety never really goes away. If instead, you acknowledge it, wink at it over there, say hello to it and even thank it for trying to protect you unnecessarily, you can pivot to more balanced thoughts more easily. Avoid triggers. Now isn't the time to be watching violent TV shows or to be glued to the latest disaster stories in the news. This won't be forever, but create a blackout of triggering sources: Facebook, the news, etc. Don't feed the beast. Get information. Karen Kleiman's book, Dropping the Baby and Other Scary Thoughts, can be a real life saver and provides excellent information about Postpartum Anxiety and OCD. The blog site www.postpartumprogress.com is also a great resource for those experiencing postpartum anxiety and/or depression. Bottom line? Don't go it alone. Help is out there and there is no time to waste. Signs you may have Postpartum Anxiety or why can't I get these crazy thoughts out of my head? If you say "postpartum," to most people, then next thought that pops into their head is "depression." In some ways this is great: word is getting out that PPD is common and treatable and not anyone's fault. And yet, many parents don't present with symptoms that we consider common to depression. Instead they are experiencing postpartum anxiety, which I've got to say is incredibly common, and waaay underdiagnosed. Ever hear something like this: "Oh, you're just a first time mom, it's normal to be worrying about the baby"? Well it's common but not normal to be constantly ruminating that something terrible is going to happen, or to be staring at the baby monitor all night to see if the baby is still breathing when you're desperately tired and need to sleep. So people who need help aren't getting it. Let's change that. Angry. Irritated. Agitated. Nothing anyone does is right, including you. Constantly waiting for the other shoe to drop. Unable to relax. A sense of dread and foreboding. Having the same scary thoughts about something terrible happening, and doing everything you can to keep it together while "dying on the inside," as one client recently told me. Scared to be alone with the baby. Difficulty falling and staying asleep despite feeling exhausted. Having the sense that there's always something you should be doing--laundry, cleaning, thank you notes, etc. Feeling crazy and scared that you'll never feel normal again. Zooming off into the future on a tide of pessimistic or negative "what ifs." Wait, so that's anxiety? Yup. Often, well meaning partners and friends will have the sense that something is wrong but can't really put a finger on what it is. They just know that their loved one is on edge or very controlling and that they are on the receiving end of a lot of irritable or even angry comments. It's easy for both partners to feel helpless and hopeless. And yet...and you knew where I was going with this...there is hope. Postpartum anxiety is truly treatable. Using a mix of cognitive behavioral therapy and supportive techniques, you can absolutely feel better and shrug off that oppressive sense that something bad is going to happen. There's no reason to "white-knuckle" it. Next up, what you can do about postpartum anxiety. What's your parenting super power? Parenting in New York City can often seem like a competitive sport. Is it the same where you are? Maybe this is just a Brooklyn or Manhattan postpartum parenting phenomenon. But, I suspect it's a bit more global! There's always someone at the playground or school yard mentioning how early their kid walked, talked or slept through the night. The choices to work or not, opt for a nanny versus group childcare, stay in the city or split for the suburbs can make it feel like no matter what we do, we're not making the best choice. The pressure to get it right for the sake of our kids is extreme. And what a price to pay for both us and our kids: stressed families where nothing is ever good enough. We feel like we're always behind-- working really hard scurrying on the hamster wheel but never feeling like we're doing anything well. Sound familiar? I've seen both professionally and personally that the moms and dads who are most at home in their own skins, most confident in their parenting choices and just less preoccupied about attaining some unreachable goal of perfection, all share a secret. They know that they will never be "that mom" or "that dad." You know "those parents," right? The ones who are PTA president, grow their own organic food, pack gourmet lunches for their children and spouse, maintain an impeccable apartment, have some awesome work from home gig, and always look fabulous? Well, the rest of us could take some lessons from those that are okay with being good enough. Why? Because those folks know that they have their own super powers in other areas; that they don't have to excel in every single aspect of parenting and life, because it's just not possible. They know they can't be perfect and they are okay with that. And these are moms and dads that absolutely shine as parents. Maybe they know that they are awesome huggers and all-around great organizers of games and family activities. Or that they remember and share family stories so that their child will pass the family lore on one day. Or that they always know where the lost teddy bear is. Whatever it is, they know that we all excel in some areas and not in others. Yes, even "that mom" and "that dad" have room for improvement. And I suspect they're paying quite a price to maintain the aura of perfection. So why not focus on what we're great at as parents and people? After all, do our kids notice or care that we are knocking ourselves out, sweating the small, unimportant stuff? Nope! Would they prefer to cherish memories of us as calm and happy to be around them? Absolutely! So, what's your super power? 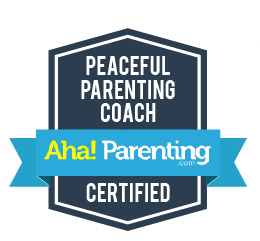 Anxiety, worry, ambivalence...all part of parenthood? Sometimes, but if you find you're feeling bad more often than good, reach out and get help. Happy parents lead to healthy, happy kids! Ready to get some help? Call 917-397-0323 or fill out the form below and Olivia will get back to you ASAP to set up a brief phone consultation or a full session.